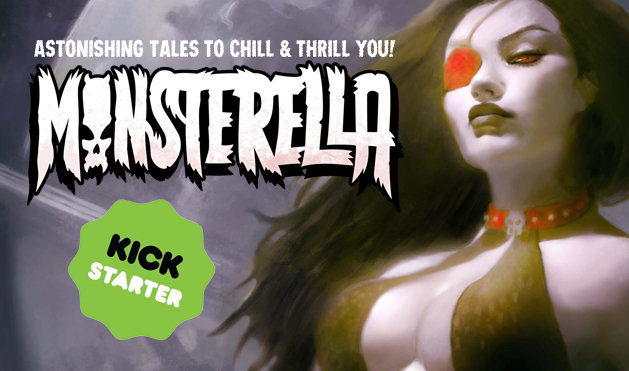 The MONSTERELLA Kickstarter begins at 7pm tonight, and is loaded with cool rewards, including digital copies, print copies, deluxe editions, signed art prints, t-shirt/comic combos and more! Support of this (completed) project will ensure it gets into print and into the hands of creepy comics fans everywhere! A kickstarter campaign to raise the funds to print Monsterella #1 will be kicking off Wednesday March 29th, 2017, at 7pm.